Considered a symbol of love, this beautiful Orchid is often chosen by Brides for their bouquets or cakes. 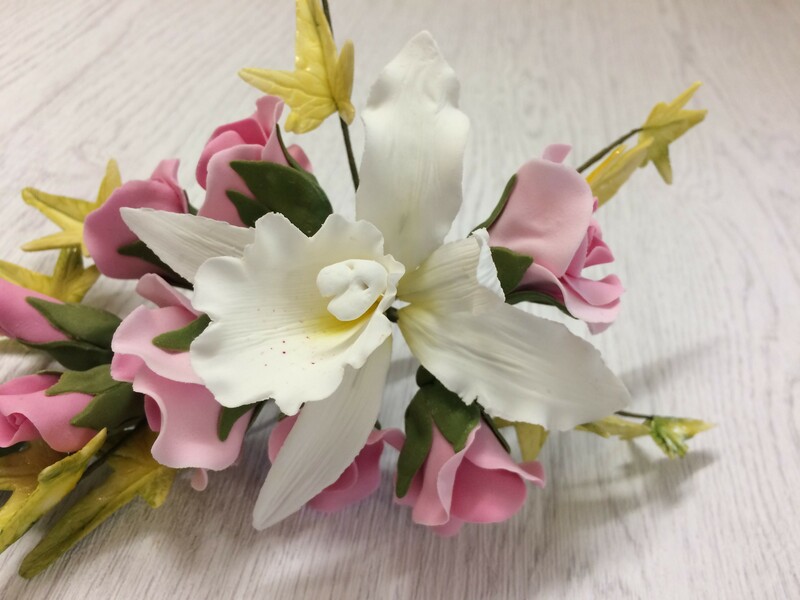 Karen, Our Sugarcraft expert, will teach you how to make and shape a beautiful corsage of Cattleya Orchid, buds and twigs. Learn the skills to identify floral parts, make the petals with their delicately fluted edges using traditional techniques, then the buds and twigs. No additional tools are needed to make these lovely flowers. In hues of white, pink and violet, Karen will next show you how to bring the Orchids to life with her skills in colouring. Finally, binding everything together so that you can take your Orchid home to show off and enjoy. Or perhaps to give to a Bride as an elegant, thoughtful and memorable gift. Be the first to review “Cattleya / Bridal Orchid” Click here to cancel reply.